As far as biopic subjects go, Freddie Mercury has got to be one of the all-time hardest. The Queen frontman was a once-in-a-lifetime talent, complete with a powerful voice (thanks in part to extra teeth that made his mouth more spacious), a sixth sense for songwriting and production, and a persona that was at once both macho and glamorous. The role is a tall order, and portrayer Rami Malek can be forgiven for not getting Mercury's essence just right. Less forgivable is the movie that surrounds Malek's performance, which is a sloggy "rise, fall, and redemption" retrospective of an artist who deserves a movie as spectacular as he was. We follow Mercury as he gets his start in the music industry, having the good timing to instantly land a job as the lead singer of a band whose frontman has just quit. He helps the band, now called Queen for reasons Freddie won't expound upon, produce an experimental album, which lands them a record deal, which leads to them becoming one of the biggest musical acts in the world. Yes, it's just that easy. I know that certain artists have the ability to make their success look easy, but this movie genuinely makes it look like all it took was a few sparks of genius and incredible luck. 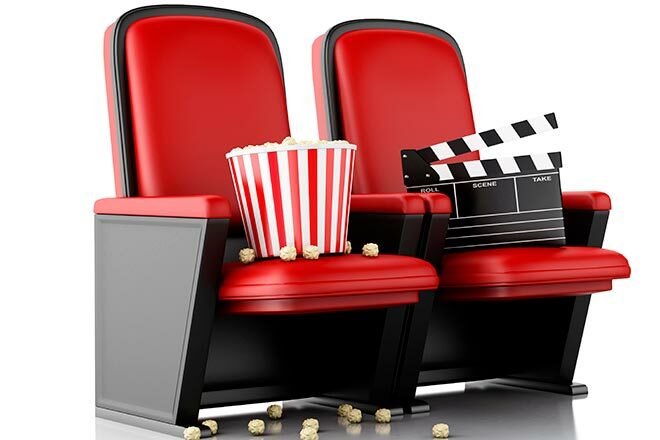 As the story of Freddie's rise to fame rushes by, the film takes an equally bullet-pointed view of his relationship with girlfriend-turned-fiancee Mary (Lucy Boynton) and how the relationship fell apart due to Freddie's proclivity for males. Freddie's sexual confusion causes his life to spin out of control, and he makes increasingly poor decisions like pushing away his bandmates in favor of a solo career and a relationship with his shyster manager (the aptly-named Allen Leech). Eventually Freddie contracts AIDS, and knowing he hasn't got long to live, reconciles with Queen to play Live Aid in the film's climax. The music of Queen of course has a presence in the movie, but the film never gave me as much as I would have liked. We get snippets of "We Will Rock You," "Another One Bites the Dust," and the title track (Mike Myers has a cameo as a record executive who doesn't like "Bohemian Rhapsody," and the joke is that it's ironic because Myers loved the song in "Wayne's World," but the movie beats the joke into the ground until it's way too on-the-nose and painful), among others, but the film never holds on them for very long until Live Aid at the very end. I suspect this is because Rami Malek's voice couldn't handle so many songs. The real Mercury sings "Don't Stop Me Now" over the film's credits and it's the highlight of the movie, blowing everything Malek did before it out of the water. Most of the reviews I've seen for "Bohemian Rhapsody" praise Malek and disparage the way the story is handled, and while the story is worth disparaging, I think Malek is being let off the hook a little too easily. Don't get me wrong, I'm not saying that he isn't trying with every fiber of his being to channel Mercury. I'm saying that as hard as he's trying, he's just not pulling it off. His British accent sounds phony, he's clearly straining himself vocally (it's here where the film could use some of that effortlessness that it overdoes in other scenes) and he can't match Mercury's swagger or charisma. He perhaps plays Mercury as well as can be expected of any actor, but maybe it's not reasonable to ask any actor to play Mercury. Maybe Mercury was so untouchably talented that the creative team that could pull off a convincing two-hour biopic of him simply doesn't exist. It's not the team from this movie, I can tell you that. 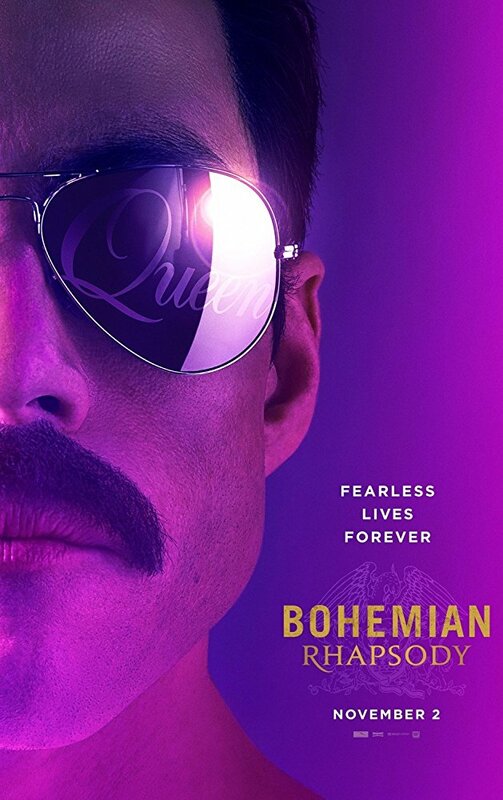 "Bohemian Rhapsody" is rated PG-13 for thematic elements, suggestive material, drug content and language. Its running time is 134 minutes.